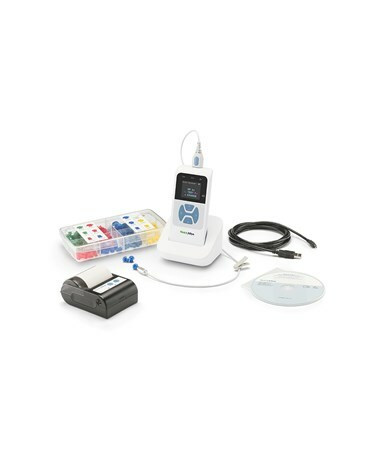 The Next Generation 39500 Series OAE Hearing Screener is designed to detect otoacoustic emissions for improved clinical outcomes in treatment of hearing loss in young children. It combines objective screening with breakthrough technology which ensures staff efficiency and patient comfort. The OAE Hearing Screener tests at key speech frequencies (2, 3, 4, 5 kHz), ideal for testing newborns, infants, toddlers, preschool and school-age children. It rapidly screens children who are too young to respond or have difficulty sitting still, with minimal cooperation required. The intuitive display prompts guide the staff through the test, making it easy to use. Test is completed within 8 – 16 seconds per ear. 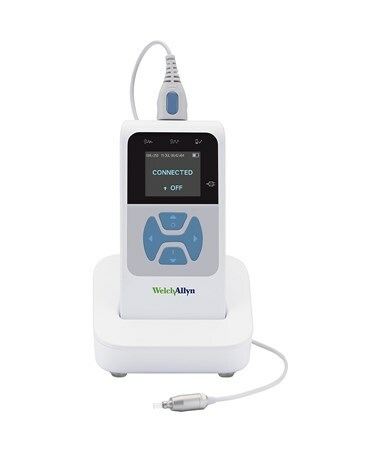 The Welch Allyn screener is equipped with patented noise-management technology to address poor test results due to ambient sound. 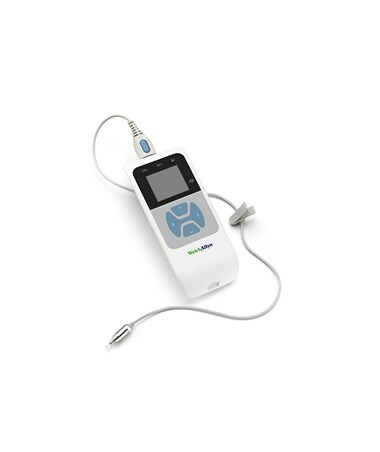 The in-the-ear calibration helps improve test accuracy and ensures the probe is secure. The AutoStart feature checks to make sure the test is started in acceptable conditions. This user-friendly model can store up to 250 tests on device, even when battery life is depleted. 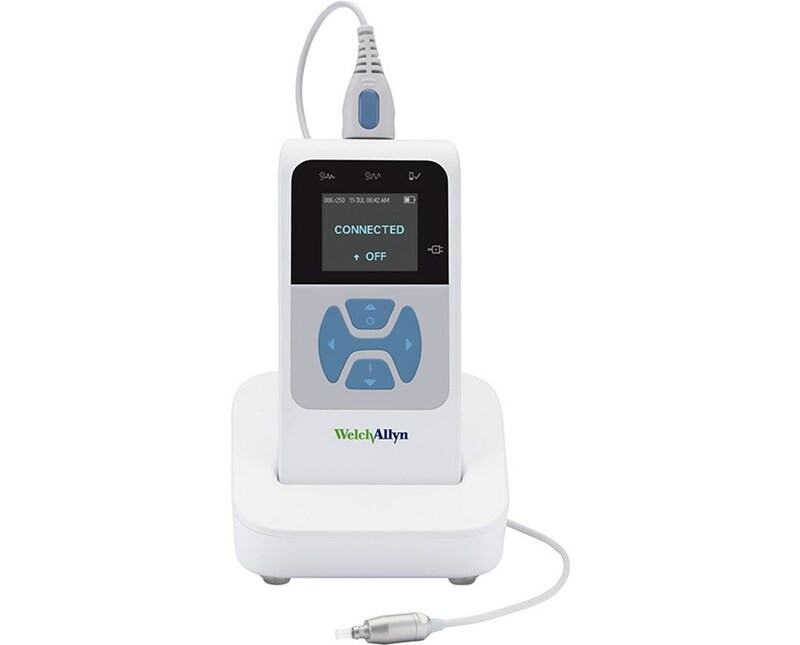 You can easily view, archive and export patient data and results with the Welch Allyn Data Manager Software, via hard-wired or wireless connectivity from device to pc in seconds. 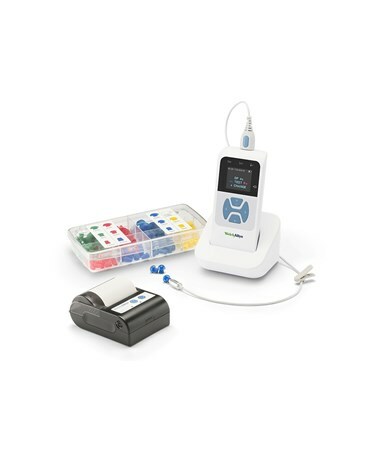 The Next Generation OAE Hearing Screener is designed to be safe and comfortable for use on children of all ages, and makes hearing screening simple, safe and accurate. *This Hearing Screener is available with or without a thermal printer. Please select your preference from the drop down box above.